Build Max Muscle With German Volume Training! Doing 10 sets of a single exercise for 10 reps is a time-tested, deceptively simple formula for serious muscle gains. If you're ready to build serious mass, try German volume training on for size! 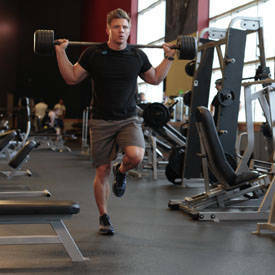 If you've been in the muscle-building game for even a little while, you've probably come across a seemingly endless number of ways to train for size: pyramid schemes, reverse pyramids, pre-exhausting before a big exercise, extending an exercise with dropsets, heavy eccentrics, partial reps, and the list goes on. If all this madness has you wondering why training has to be so complicated, I've got some welcome news for you. One of the simplest time-tested training programs you can follow is called 10x10, or German volume training (GVT). It calls for 10 sets of 10 reps (100 reps total) of a single exercise. Besides being super-simple, GVT is super-effective and has been used for decades to boost muscle growth. While it's easy to use, we didn't say it was easy to do. In fact, one of GVT's early proponents, renowned strength coach Charles Poliquin called GVT "brutally hard" and said the system "stands above all the rest" in this article. 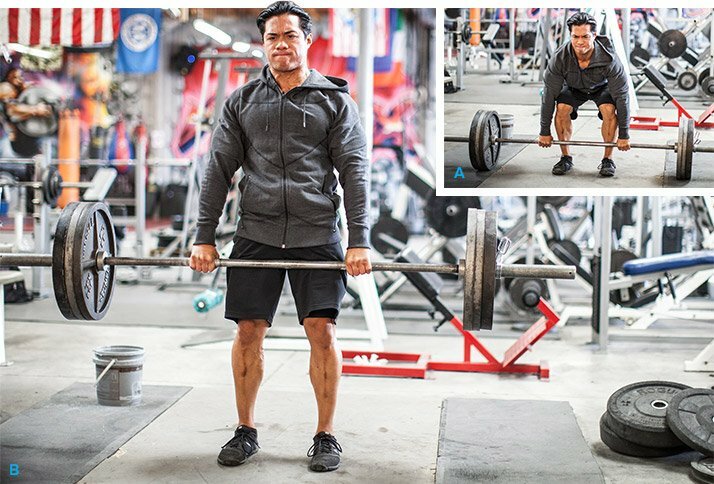 If you're tired of continually manipulating reps, ready to switch to a new training program for renewed results, or simply want to try a challenging workout, it's time to give GVT a try. Even pro athletes affirm this sentiment. "I've actually done GVT for quite some time, and it's definitely tough," says former powerlifter and 2015 Optimum Classic Championships winner Geremy Satcher. "I've had some quality success with it. It's by far one of the most difficult workout schemes I've done, requiring you to dig deep." Justin Woltering, a Dymatize athlete and pro fitness model, says, "German volume training is helping me break through plateaus and is taking my conditioning to a whole 'nother level." In other words, GVT works. Popularized in Germany in the mid '70s, 10x10 training—known then as the Ten Sets Method—is effective first and foremost because of the volume of work you do with a single move. Whereas most bodybuilding routines call for 3-4 sets of a given exercise before changing the angle of the move, here you do 10 with a set number of reps in the hypertrophy range. Is 10x10 Training Right For You? German volume training is an advanced technique for individuals with a good base of high-volume training, says Jacob Wilson, PhD, CSCS. "I'd say on average you need about three years of hard training to effectively pull it off." "We do tend to overcomplicate things [in training]," says Jacob Wilson, PhD, CSCS, who heads the skeletal muscle and sports nutrition laboratory at the University of Tampa, Florida. 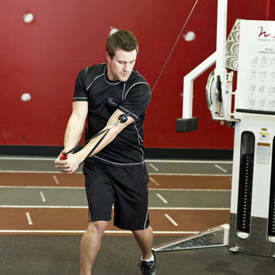 "Remember the key to [preventing] muscle adaptation is change. German volume training may be simple, but the technique is so extreme that it provides a great deal of change, resulting in growth." Poliquin wrote that the program works "because it targets the motor units, exposing them to an extensive volume of repeated efforts, specifically 10 sets of a single exercise. The body adapts to the extraordinary stress by hypertrophying the targeted fibers." Poliquin added that mass gains of 10 pounds or more in just six weeks weren't terribly uncommon, even in experienced lifters. "German volume training was first studied by Dr. Keijo Hakkinen's lab in Finland back in the 1990s," adds Wilson. "His lab found that GVT produced drastic increases in metabolic stress as measured by lactic-acid accumulation.1 Metabolic stress is one of the primary mechanisms responsible for triggering muscle growth. Thus, this training can certainly be very effective." 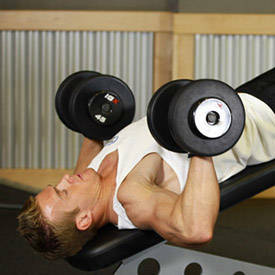 Your goal with GVT is to complete 10 sets of 10 reps of a single exercise using the same weight for all 10 sets. You get only a 90-second rest between each set. Sounds simple enough, but let's take a closer look at all the training variables to ensure you're doing it right for maximal results. 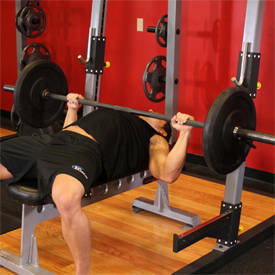 Your goal with GVT is to complete 10 sets of 10 reps of a single exercise using the same weight for all 10 sets. If you're new to this type of training, a three-day-a-week split should work well considering the high volume, with rest days inserted between your training days. Here we've broken your training days down by main lift—bench press, squat, deadlift—though you will work multiple muscle groups each day. 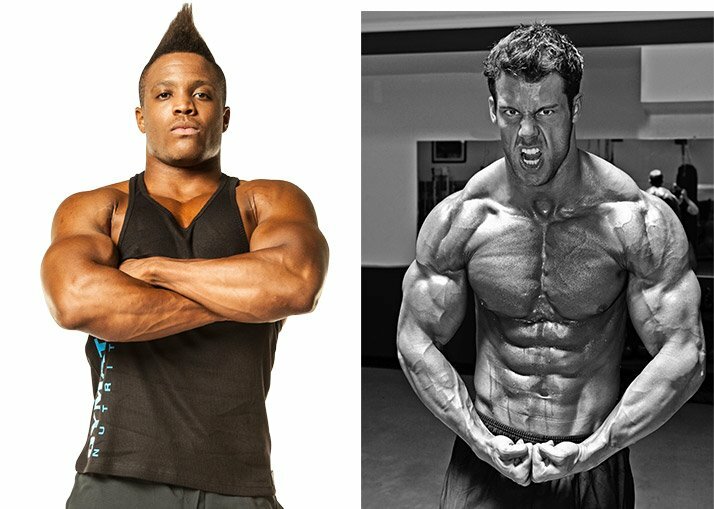 More experienced lifters can focus on just one muscle group per training day to more closely follow a familiar bodybuilding split (with a bit more overall volume for each body part), but the stress to the muscle still requires at least 4-5 days off before you train the same muscle group again. In other words, make sure you program ample rest regardless of how you like to set up your split. Whey Protein Powder for Building Muscle. Ultra-Fast Absorption to Build and Repair Muscle. Go Now! You'll be doing just one exercise with the 10x10 format per body part, so you'll want to choose a movement that recruits the greatest amount of muscle mass. "The general goal of German volume training is to increase cell swelling and cause a great deal of metabolic stress," says Wilson. "Research by Brad Schoenfeld in 2013 indicates that multijoint movements such as squats and bench presses result in greater metabolic stress and anabolic responses than isolation movements.2 As such, shy away from isolation movements, since they defeat the purpose of German volume training." 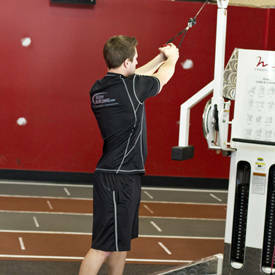 In addition to exercise selection, you should also consider the best implement. 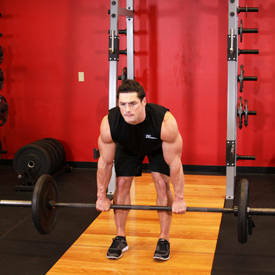 Since dumbbells are more difficult to control than a barbell, especially as you become highly fatigued, barbell compound movements are your best choice. This is a critical variable, because going too heavy or too light can reduce the effectiveness of the program. Poliquin suggests using a weight that's 60 percent of your one-rep max (1RM), which is a weight you can lift for 20 reps (20RM) to failure. So, if your max bench press is 315 pounds, you'd use 60 percent of that, or 190. While you may not know your 1RM for every exercise, this rep-max calculator can help you determine your max—and specific percentages of that max—for any exercise based on how much you can lift for a specified number of reps. It's an easy way to help you get started with GVT. Poliquin suggests using a weight that's 60 percent of your one-rep max (1RM), which is a weight you can lift for 20 reps (20RM) to failure. Your working weight is probably going to feel very light for your first couple of sets, but as cumulative fatigue sets in, you may find that you can't reach the 10-rep target. Don't use set-extending techniques such as forced reps or dropsets. Instead, once you can't do any more, just rack the weight and rest. Some individuals argue that you can choose a heavier weight, such as your 12-15RM, rather than your 20RM. According to Wilson, both work. "My suggestion, however, is to start conservative with your 15-20RM and see how well you perform. You can then progress to a 12-15RM your second time using this technique. Remember, progressive-resistance training—increasing the working weight over time—within the context of any training program is always key!" One reminder: Bodyweight exercises aren't ideal to use because you may be able to do just a few, or perhaps too many. 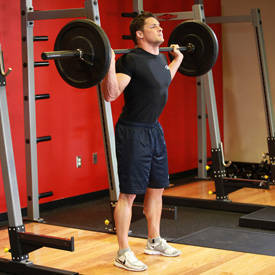 You'd have to use added weight on some bodyweight exercises, and perhaps others would simply be too heavy. 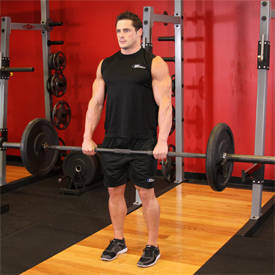 It's easier, then, to simply choose barbell movements in which you can easily adjust the right load for all 10 sets. There's some disagreement in the literature about how long you should rest between sets of GVT, but one thing's for certain: You want to limit your rest periods to a pre-determined time. The best period seems to be 90 seconds. Set the stopwatch function on your phone to keep yourself strict. If you don't measure and stick to these limits, the effectiveness—and ability to measure the success—of GVT is compromised. By limiting the rest period to 90 seconds, fatigue readily accumulates, and those easy first sets quickly become a thing of the past. You may want to take longer rest intervals as you tire, but stick to the defined limits to make this program work. While your first primary exercise is done for 10 sets, it's not the only exercise in your workout. 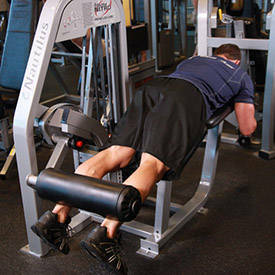 Subsequent supplemental exercises, which are done from different angles, can be added for three sets of 8-10 reps. Include just 1-2 more exercises, depending on your training experience. "Cutting back on other exercises for the specified body part is a good idea to prevent injury or overtraining," says Satcher. "Too much volume for a given body part can be counterproductive." 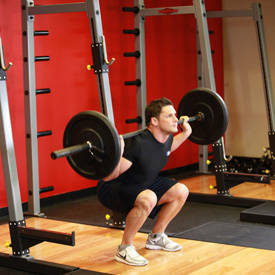 If your 1RM for a squat is 315 pounds, you'd go with 60 percent of 315 as your working weight. That's nearly 190 pounds. Here's how your first sets could look as fatigue sets in. Note that you're trying to hit 10 reps on every set, but you may not be able to when first starting the program. Stop at 10 reps, even if you can do more. Set 1: 185 pounds for 10 reps, rest 90 sec. Set 2: 185 pounds for 10 reps, rest 90 sec. Set 3: 185 pounds for 10 reps, rest 90 sec. 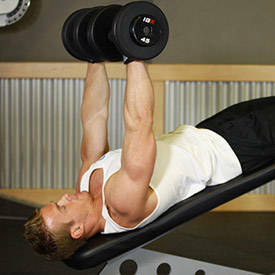 Set 4: 185 pounds for 10 reps, rest 90 sec. Set 5: 185 pounds for 9 reps, rest 90 sec. Set 6: 185 pounds for 8 reps, rest 90 sec. Set 7: 185 pounds for 7 reps, rest 90 sec. Set 8: 185 pounds for 7 reps, rest 90 sec. Set 9: 185 pounds for 6 reps, rest 90 sec. Set 10: 185 pounds for 6 reps, rest 90 sec. Take a break from this type of training for a few weeks. 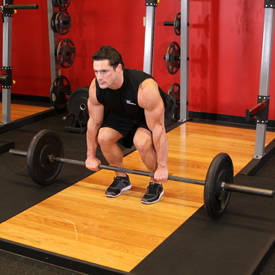 After a break, increase the weight by about 5 percent and proceed again with the 10x10. Choose different multijoint exercises or slightly different variations. Try 5x5 training, which is more strength-focused and uses 85 percent of your 1RM for 5 sets of 5 reps.
"Just like with any technique, your body will eventually stop growing if you use it every training session for an extended period of time," says Wilson. "As such, continue to change the advanced techniques, sets, reps, and intensity used, and you will be well on your way to never stop growing!" GVT is a reminder that nothing is more fundamental in muscle building than doing high-volume training with big, basic movements. With all the training schemes available to today's lifters, GVT offers a simple way to build muscle and strength with foundational exercises. GVT is a reminder that nothing is more fundamental in muscle building than doing high-volume training with big, basic movements. "I was listening to a podcast with Charles Poliquin this week, and it was a reminder that the basics are the basics—always have been and always will be," says Woltering. "It's the mastery of these basic movements that has helped many lifters build muscle and lose fat with GVT." 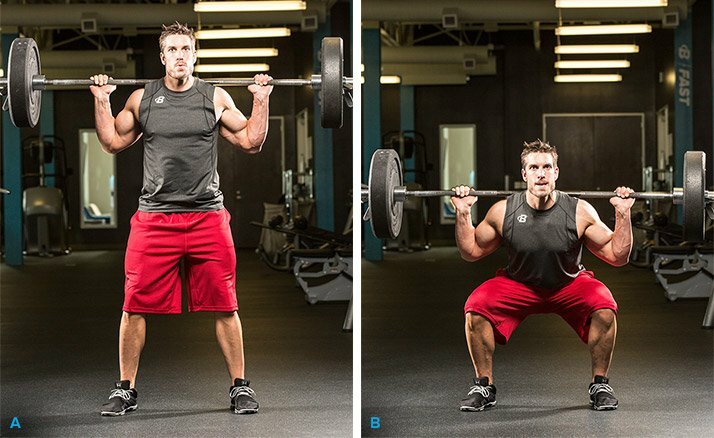 If you're ready to grow with GVT, try the workouts below to get started! Hakkinen, K., & Pakarinen, A. (1993). Acute hormonal responses to two different fatiguing heavy-resistance protocols in male athletes. Journal of Applied Physiology, 74(2), 882-887.